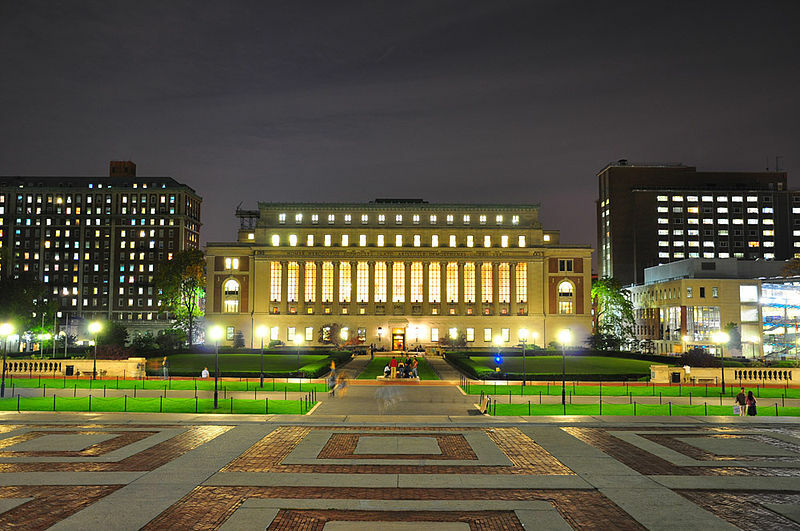 Columbia University is the single biggest landowner in New York City. They’ve got more land than the church. They’ve got more land than NYU (photo credit: Andrew Chen). Located in Manhattan’s Morningside Heights, just north of the Upper West Side and just south of Harlem, Columbia University gives students the perfect blend of an outstanding Ivy League education in the greatest city of the world. With 6,084 undergraduates, Columbia has one of the most ethnically diverse student bodies of all of the Ivy League colleges and Columbia University Admissions makes it among the most competitive to get into. Rentals of Manhattan apartments are unaffordable for most Columbia students, so nearly all undergraduates live on campus. And while this could make for a very social campus, that’s not the case here. Viewed as not PC, fraternities and sororities are in the minority at Columbia. But what’s lacking in social life is certainly made up for in all that New York City has to offer. With easy access to all of the culture that Manhattan and the other four boroughs offer, on a Saturday afternoon students are able to attend a concert at Lincoln Center, stroll through Central Park, see the Greek sculptures at the Met, and then take a short subway ride to Broadway in Astoria to enjoy sumptuous Greek cuisine at a reasonable cost. No other metropolis has the endless opportunities that New York City offers, and perhaps that’s why there’s a question on Columbia’s supplement for applicants to list the films, performances, exhibits, concerts, shows, and lectures that they have enjoyed most in the past year. For students who would enjoy a rigorous academic experience at a premier research university, the opportunities for significant internships, the ability to have real work experience, and of course to be able take advantage of all that the Big Apple has to offer, Columbia University is the perfect place. Applying to Columbia University means applying to either Columbia College or The Fu Foundation School of Engineering and Applied Science (SEAS). Students at both the College and Columbia Engineering are responsible for the Core Curriculum. Engineering students are required to take classes from Columbia College’s Core Curriculum of liberal arts courses as well as core engineering courses. Columbia students love the Core Curriculum because with strong disciplines across the board, world-class professors, and small classes capped at 22 students, it gives them the chance to study courses outside of their majors. For the Class of 2019, Columbia University Admissions received a total of 36,250 applications and accepted 2,228. This resulted in an overall acceptance rate for both Columbia College and SEAS of 6.1%.